One of The Leading Experts in The Metal Stamping and Forging Industry. 1. Cup-yoke, back can of automotive and Hi-Fi speaker. 2. Cup-yokes use cold forging production with one piece structure for cost saving. 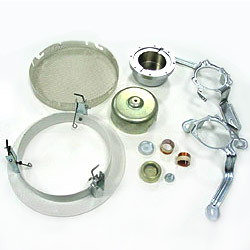 Cup-yokes use cold forging production with one piece structure for cost saving.